Little known fact about me - I love watches! 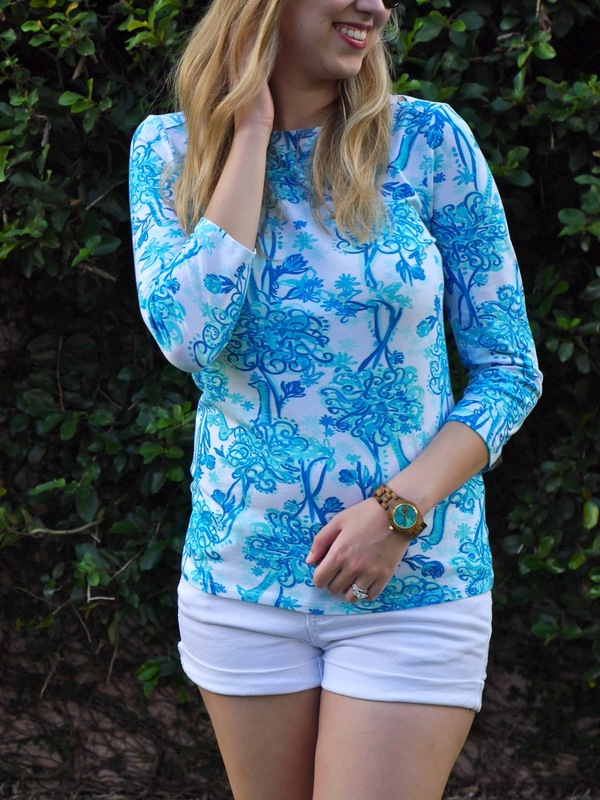 Not so little known - I love Lilly Pulitzer! So I'm really excited about this post since it's two of my favorites together. First up - just a quick PSA - the annual Lilly Pulitzer sale started today! Check out the great deals on their site, things go quick so don't hesitate if you see something you like. I treated myself to a few deals this morning :) See what I got here! I got this top at the sale last year. 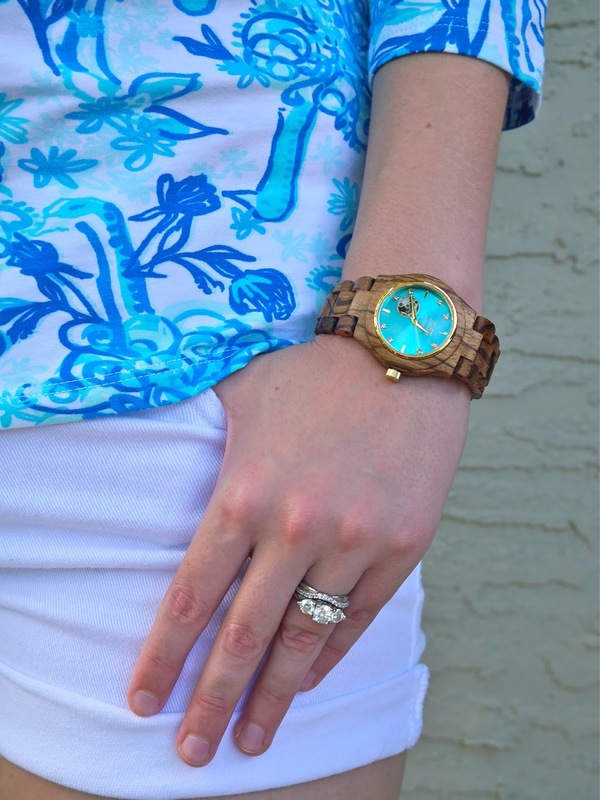 The print is "Back It Up" and goes perfectly with my new Zebra Wood and Turquoise JORD Watch! These cool watches are made of wood! It's really unique and I was worried about the wood irritating my wrist but it doesn't at all. The wood is super smooth and the clasp is actually metal so that's a big section thats against your skin. I had never heard of zebra wood before but it is pretty! It's brown with some black "zebra" stripes throughout. 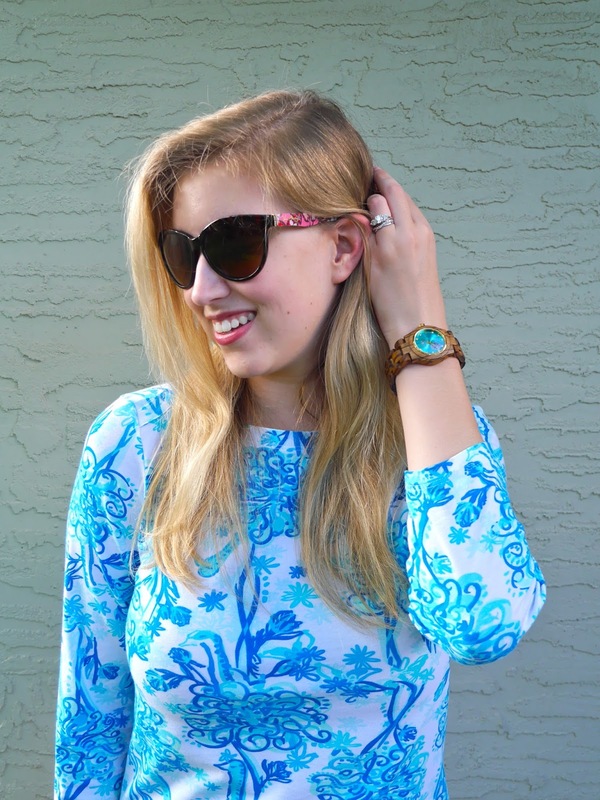 I picked the turquoise face because it's a fun pop of color that goes with almost everything! Plus I love the gold trim and hands. Check out all of their watches for women. Your watch will come delivered in an awesome wood box, already sized for you! I love that they do the sizing. Don't worry - any extra links are sent to you too in case it ends up too tight. If you're looking for creative gifts I think JORD would be perfect! I mean who's ever had a wooden watch before? !